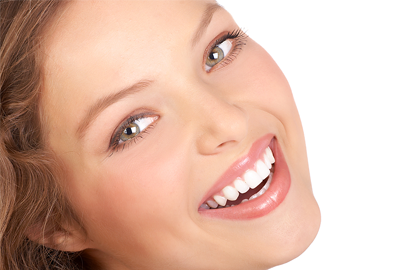 ​Yes, bleaching does absolutely no harm to the teeth. Also, if it's done as recommended over a two week period there is usually no problem with tooth sensitivity to hot and cold. Is it effective? Will it really change the color of my teeth? ​Bleaching is almost always totally effective and the results are usually dramatic. Since some people may start out with darker teeth than others, the end results may vary slightly from one person to the next. But literally all our patients have been pleased by the results. Is it going to hurt in any way? How long will it take to complete the whitening process? ​Bleaching requires two short office visits and generally takes about two weeks at home to complete. While it's possible to do it in a single visit, such one-time procedures tend to irritate the teeth, making them very sensitive to hot and cold. Slower, two-week procedures avoid this. Also, bleaching done over a a more sustained period gives a longer lasting result. How long will it last? Will there be any follow up needed? ​There will be a need for occasional home touch-ups to keep your teeth white indefinitely. Drinking coffee or tea, eating colored vegetables or food products and drinking wine are some of the common things that tend to re-darken teeth. Since we provide you with custom fitting bleaching trays and all the bleaching solution you'll need, a one-hour touch-up can be done every 3-6 months as needed. Will my teeth require routine hygiene appointments afterward? How is whitening of the teeth done? ​We construct a very thin plastic custom-fitted tray that covers your teeth, much like a cellophane wrapper over a package of chewing gum. You place a small amount of the bleaching material inside the tray, which fits over your teeth, and leave it in place for about one and a half hours a day. Most people do it at home during the evenings. Some choose to do it at work, as the trays are unobtrusive, allowing them to talk and carry on all activities except eating. What about fillings that are in my teeth now? ​Since the teeth will whiten appreciably, anterior tooth-colored fillings will have to be replaced after bleaching to match the newly whitened teeth. Posterior amalgam fillings which have stained and darkened teeth will have to be removed prior to bleaching to allow the whitening material to work. These fillings will also have to be replaced by tooth colored fillings upon completion of bleaching.